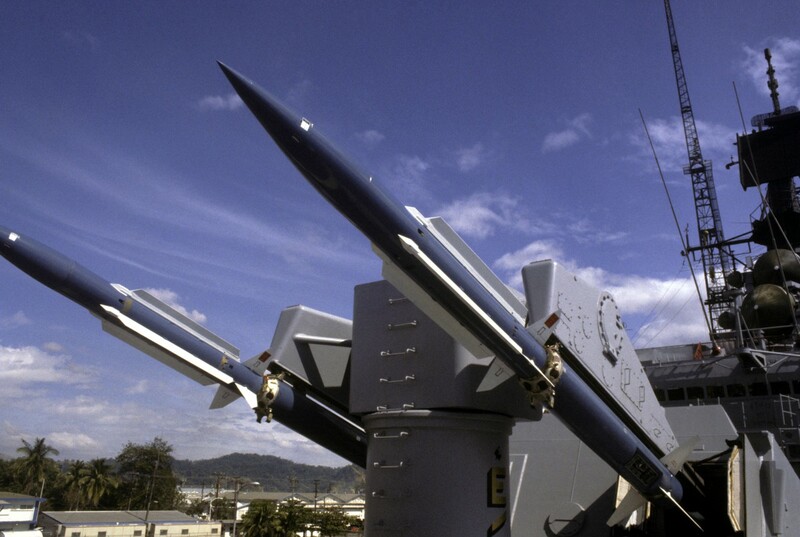 The RIM-67 Standard Missile ER (SM-1ER/SM-2ER) is an extended range surface-to-air missile (SAM) and anti ship missile originally developed for the United States Navy (USN). 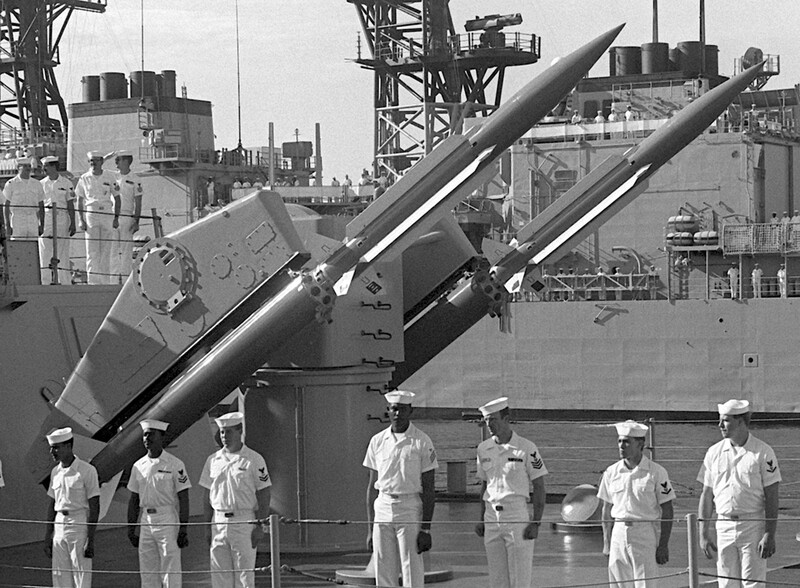 The RIM-67 was developed as a replacement for the RIM-8 Talos a 1950s system systems deployed on a variety of USN ships. 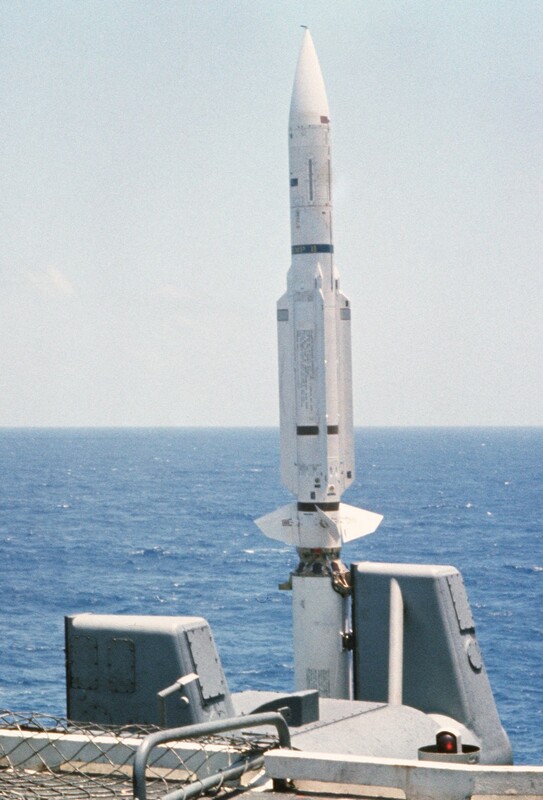 The RIM-67A (SM-1ER Block I) was the Navy's replacement for RIM-8 Talos missile. 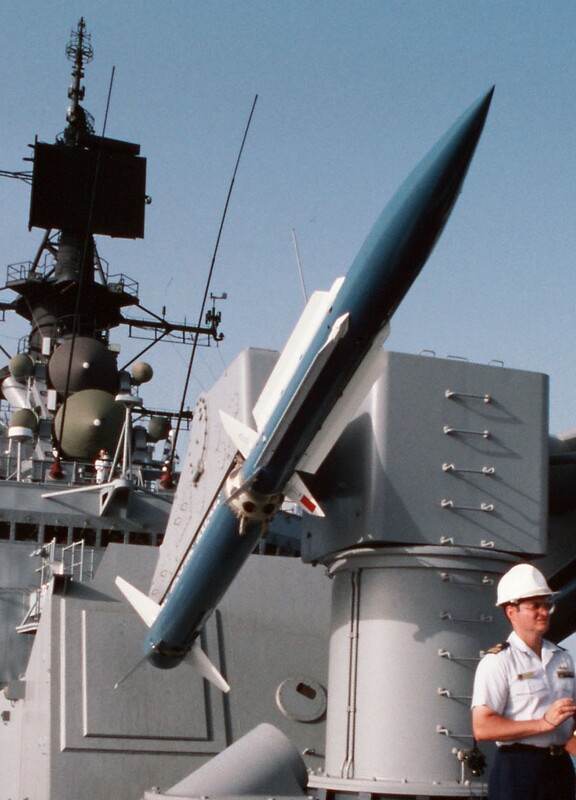 Improved technology allowed the RIM-67 to be reduced to the size of the earlier RIM-2 Terrier missile. 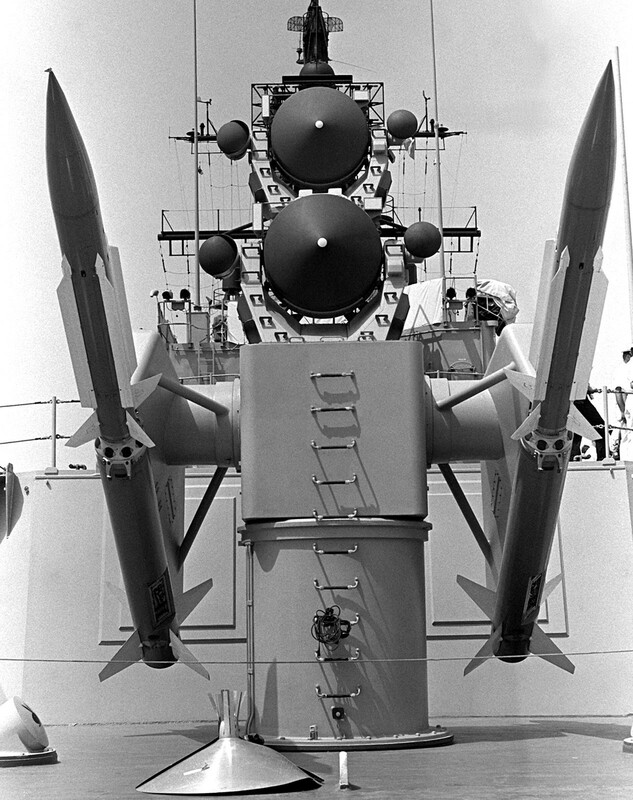 Existing ships with the Mk86 guided missile fire control system, or "Terrier" were adapted to employ the new missile in place of the older RIM-2 Terrier missile. 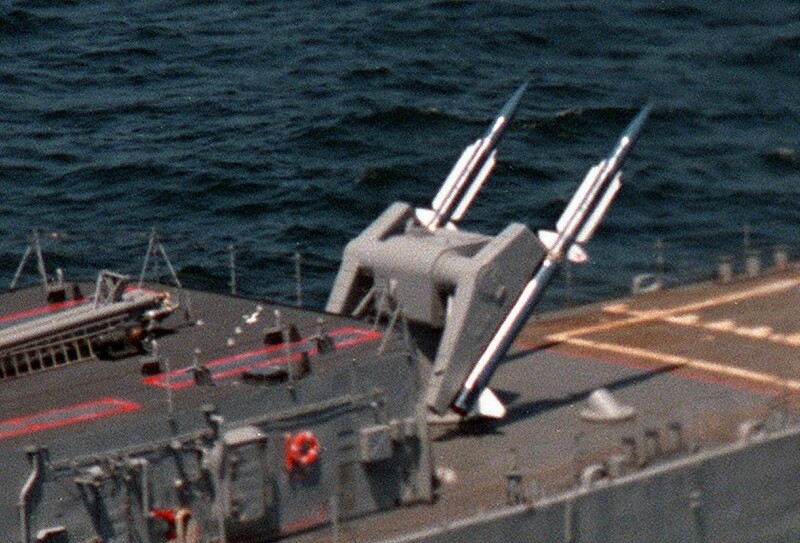 Ships that switched from the RIM-2 Terrier to the RIM-67A were still referred to as Terrier ships even though they were equipped with the newer missile. 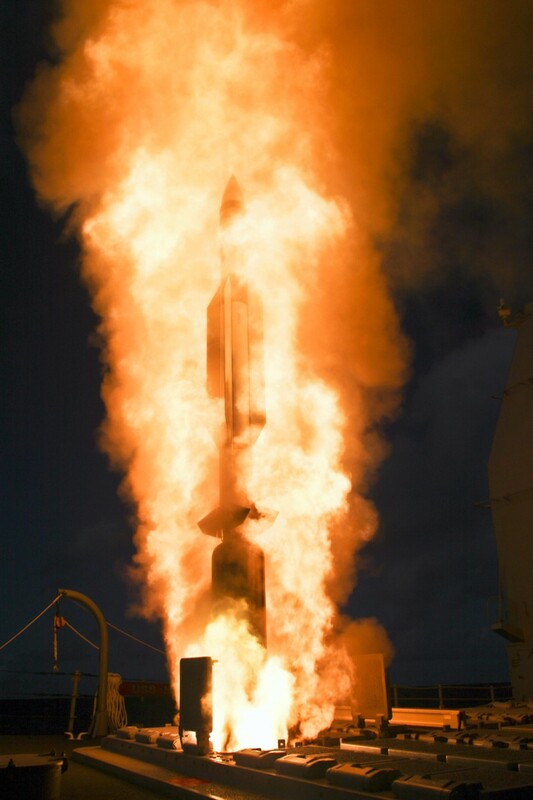 The second generation of Standard missile, the Standard Missile 2, was developed for the Aegis combat system, and New Threat Upgrade program that was planned for existing Terrier and Tartar ships. 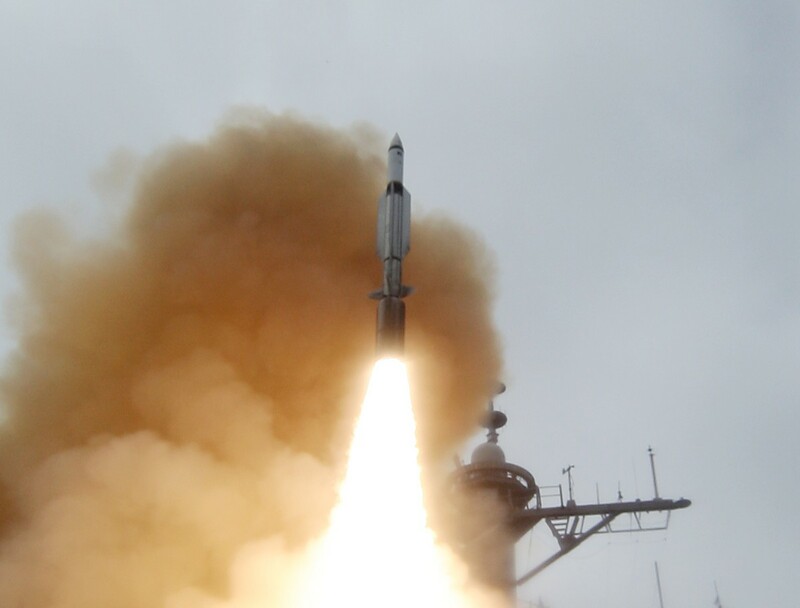 The principle change over the Standard missile 1 is the introduction of inertial guidance for each phase of the missile's flight except the terminal phase where semi-active homing was retained. 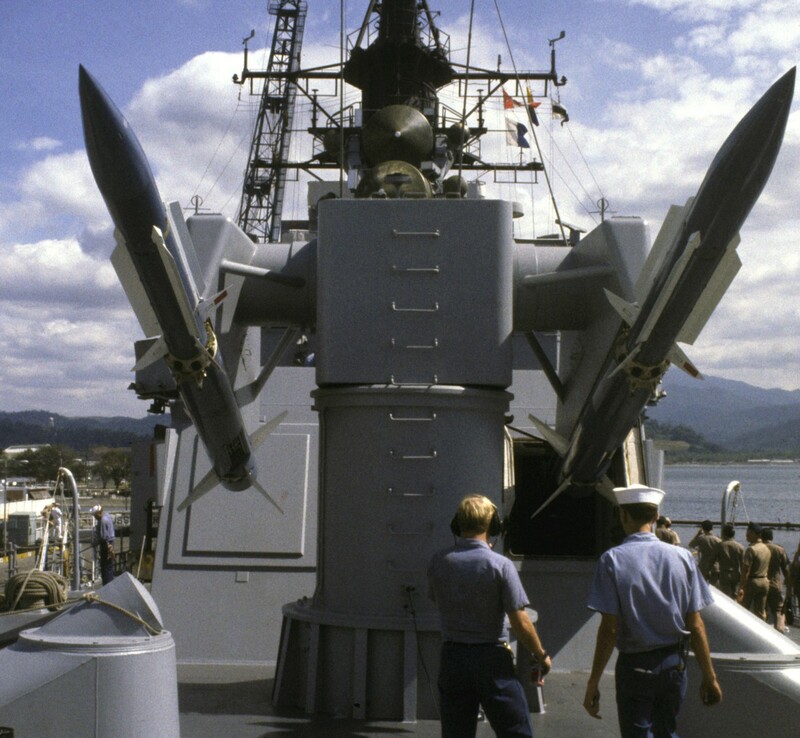 This design change was made so that missiles could time share illumination radars and enable equipped ships to defend against saturation missile attacks. 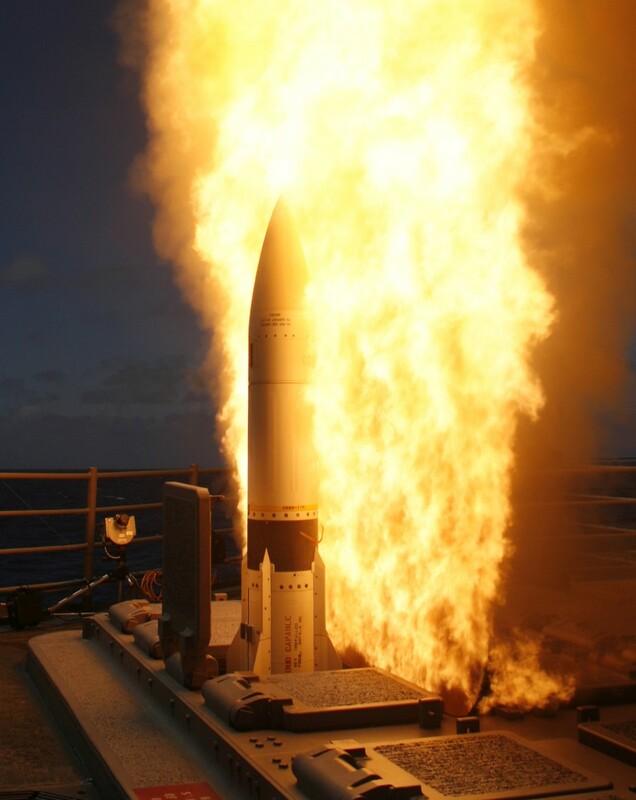 Terrier ships reequipped as part of the New Threat Upgrade were refit to operate the RIM-67B (SM-2ER Block II) missile. 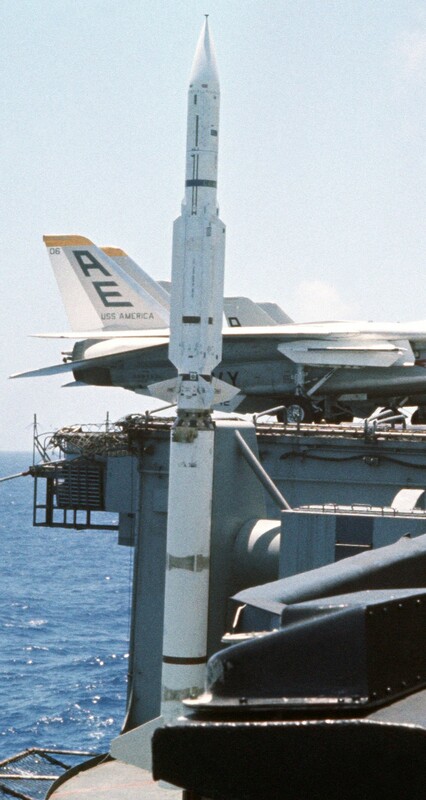 However, Aegis ships were not equipped with launchers that had space enough for the longer RIM-67B. 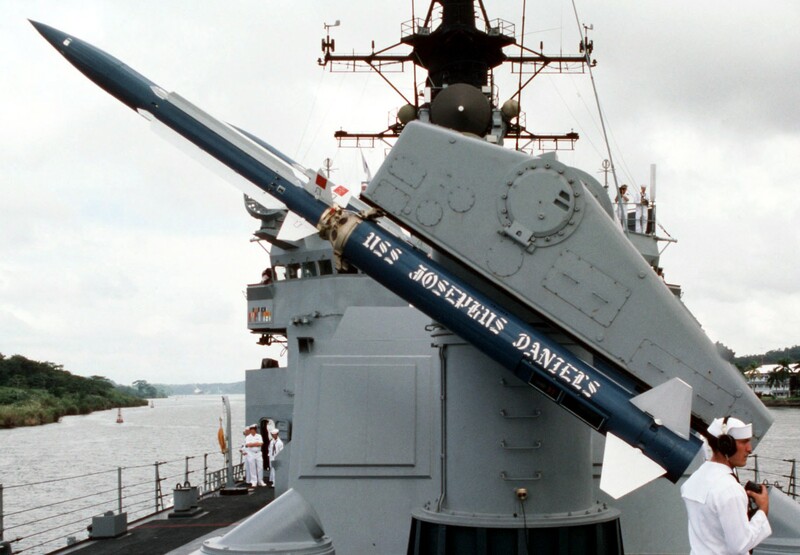 The RIM-156A Standard SM-2ER Block IV with the Mk 72 booster was developed to compensate for the lack of a long range SAM for the Ticonderoga-class of Aegis cruisers. This configuration can also be used for Terminal phase Ballistic Missile Defense. There was a plan to build a nuclear armed standard missile mounting a W81 nuclear warhead as a replacement for the earlier Nuclear Terrier missile (RIM-2D). 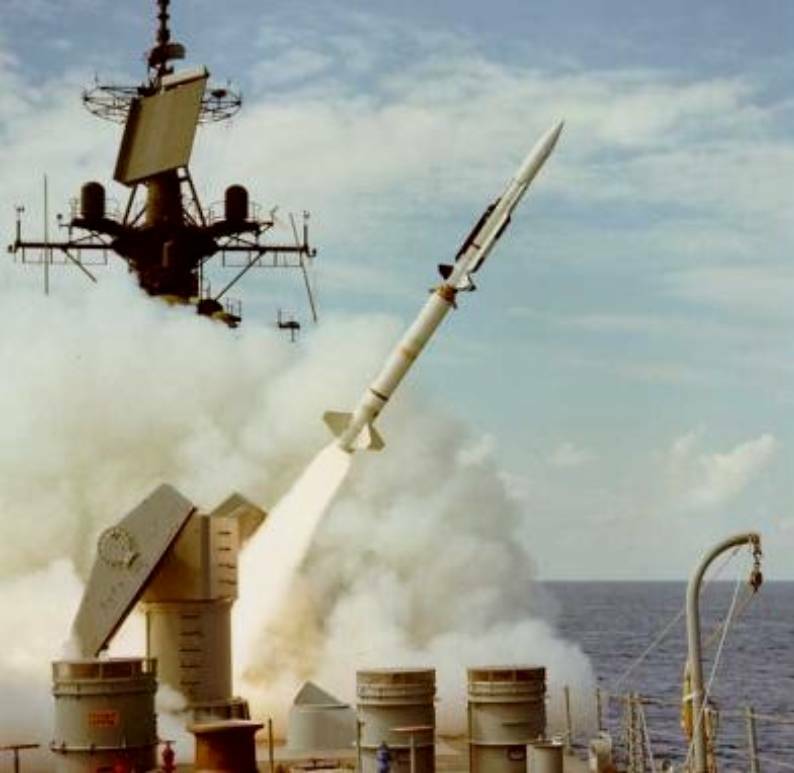 The USN rescinded the requirement for the nuclear armed missile in the 1980s, and the project was canceled. The Standard can also be used against ships, either at line-of-sight range using its semi-active homing mode, or over the horizon using inertial guidance and terminal infrared homing. A new generation of Standard extended range missiles (RIM-174 Standard ERAM) is expected to become operational in 2011. 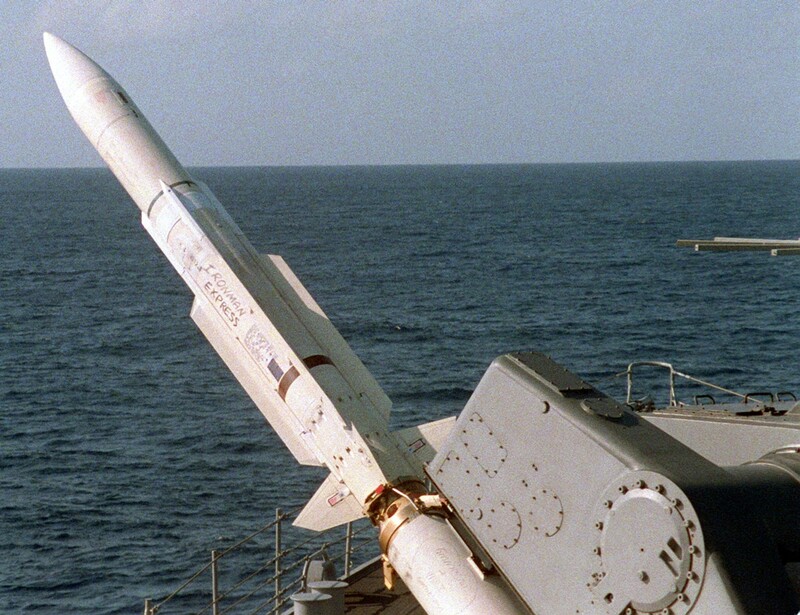 During the Iran-Iraq War (1980-1988) the United States had deployed standard missiles to protect its navy as well as other ships in the Persian Gulf from Iranian attacks. According to the Iranian Air Force, its F-4 Phantom IIs were engaged by SM-2ERs but managed to evade them, with one aircraft sustaining non-fatal damage due to shrapnel. On April 18, 1988, during Operation Praying Mantis, the USS Simpson (FFG-56) fired four RIM-66 Standard missiles and the USS Wainwright (CG-28) fired two RIM-67 Standard missiles at Joshan, an Iranian (Combattante II) Kaman-class fast attack craft. The attacks destroyed the Iranian ship's superstructure but did not immediately sink it. 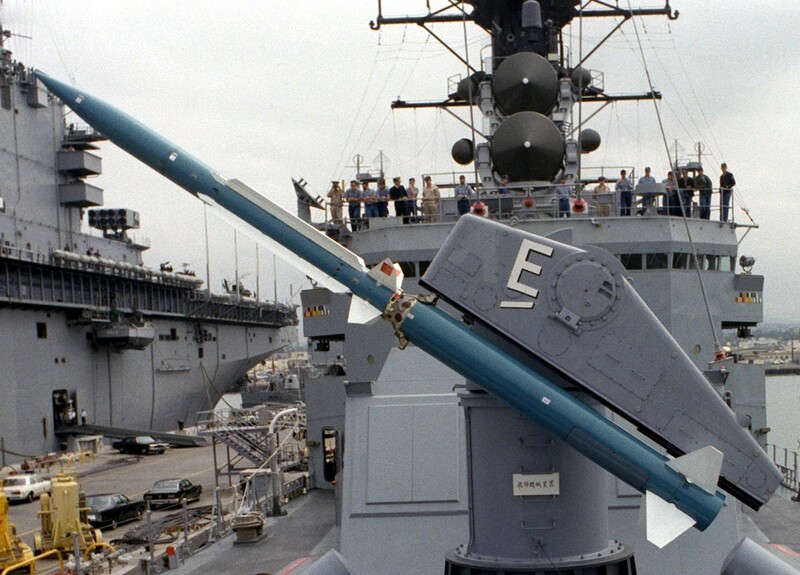 RIM-67 Standard Missile was deployed on ships of the following classes, replacing the RIM-2 Terrier, and it never was VLS-capable. All of the ships used the AN/SPG-55 for guidance. The Mk-10 guided missile launching system was used as the launching system. New Threat Upgrade equipped vessels operated the RIM-67B which used inertial guidance for every phase of the intercept except for the terminal phase where the AN/SPG-55 radar illuminates the target. 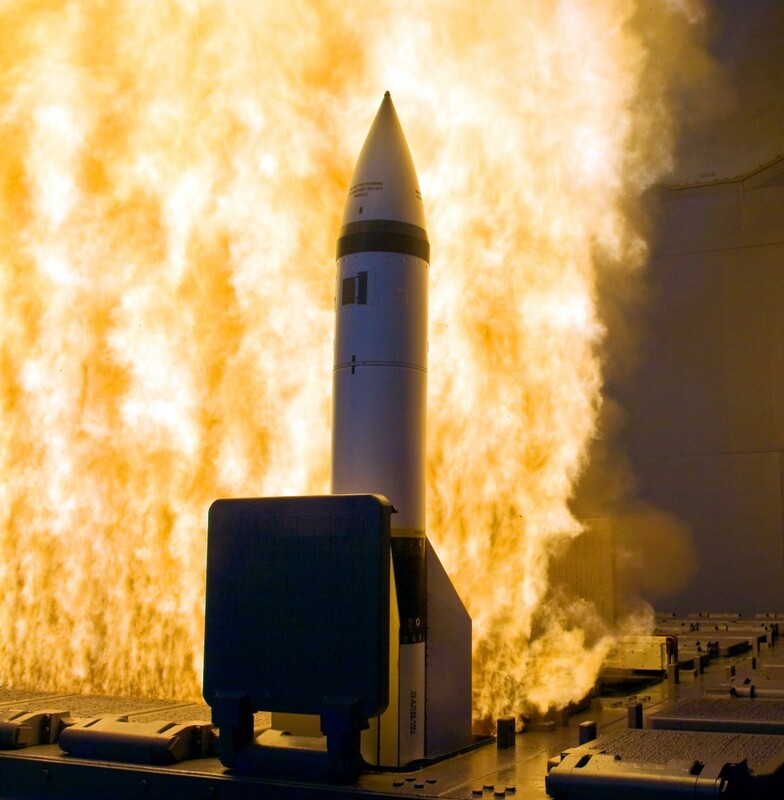 The RIM-156 Standard Block IV, is a version that has been developed for Aegis Combat System it has a smaller compact sized booster stage for firing from the Mk-41 vertical launching system (VLS). Like the earlier RIM-67B it employs inertial/command guidance with terminal semi-active homing. The last vessel to operate the RIM-67 was the Italian helicopter cruiser Vittorio Veneto (550) which was retired in 2003. The RIM-156A is still in service as of 2011. The RIM-174 Standard ERAM or Standard Missile Six (SM-6) is entering service as its replacement. RIM-67 Standard missiles have been withdrawn from service, remaining rounds are being re-manufactured in to GQM-163 Coyote supersonic targets. Primary Function: Fleet and extended area air defense. Propulsion: Two-stage solid fuel rockets. Length: 21 feet 6 inches with booster (6.55 meters). Diameter: 21 inches (booster) (34.3 cm). Wingspan: 3 feet 6 inches (1.08 meters). Weight: 3,225 pounds (1466 kg). Range: 100-200 nautical miles (115-230 statute miles). Guidance System: Semi-active radar homing. Warhead: Radar and contact fuse, blast-fragment warhead.